The Roanoke Times announced the small group brainstorms about old Roanoke bank building. 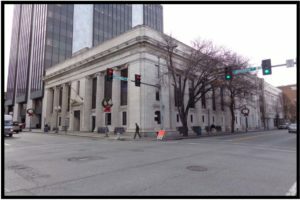 Wells Fargo gifted its one-time branch and the former First National Exchange Bank building to Virginia Community Capital (VCC). With input from citizens and local officials, VCC plans to direct the redevelopment of the 55,000-square-foot property into a use that further strengthens the central core of the city, enhances economic development, creates jobs, and potentially expands downtown development opportunities for others. Join us to share your ideas for the building, insights on economic development needs, and other ideas for the Roanoke area. Read full piece at roanoke.com.